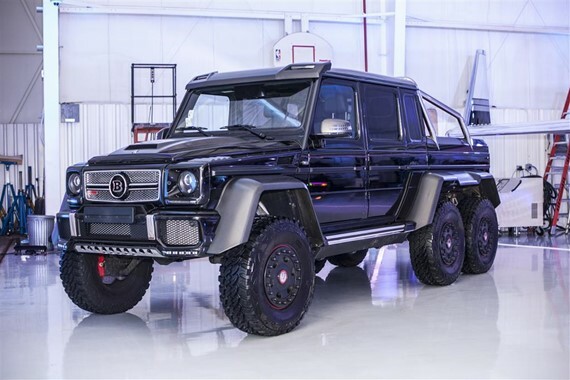 A private seller has put up his 2014 Mercedes-Benz Brabus G63 6X6 for sale. The highly exclusive truck is currently listed on duPont Registry for $1.35 million. The truck started life as a Mercedes-Benz G63 with six-wheel drive. Brabus then tuned its 5.5-liter V8 twin-turbo engine to produce 700 hp and 708 lb-ft of torque. This Brabus G63 6X6 G700 is one of just 15 trucks built by the German tuner and has been homologated for the US market. It also comes with Brabus warranty- so that should help if something goes wrong. The Brabus G63 6X6 comes fully loaded with all the tech you can imagine on a G-Wagon. That said, it a behemoth and can quite tricky to drive on crowded city streets. That said, it a massive head-turner. The seller has detailed all the features and spec of the truck in his listing which you can checkout be heading over to duPont Registry.